Oak belongs to the genus Quercus which comprises over 600 different species of trees. Most species of oak trees are deciduous with only couple of evergreen forms. Oak trees live on the Northern hemisphere. They can survive in various forests, including those in temperate climates, Mediterranean and tropical areas. Tree Trimming - There are many ways you can trim a tree. By trimming your trees it helps the life and beauty of your lawn. When it comes to trimming hardwoods compared to pines there is a great deal of difference. Our Pasadena tree trimming service has over 40 yrs of tree removal, and experience. 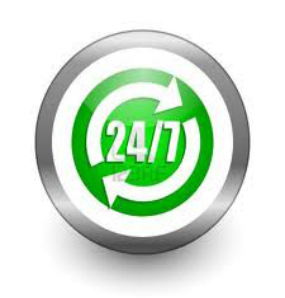 We are insured and self bonded for your protection. When trimming a Pine tree you mainly remove the lower or dead branches. 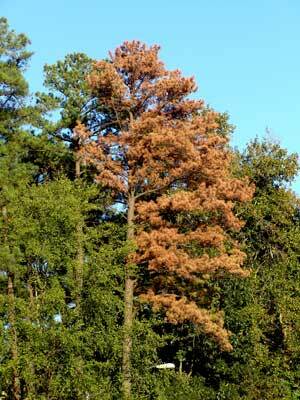 Removing the dead branches or limbs helps the pine to fight off diseases and bugs, such as pine beetles. Some people cut the lover limbs to help bring sunlight to the lawn or raise from the roof. Both are great preventive measures to maintaining a health pine and keeping your roof safe. Oak tree trimming can be done for many reasons. Pasadena, Texas has many oak trees and hardwood trees all over the city. Oaks need to be thinned, pruned, suckered, tips raised, topped, crowned, and cleaned out for sunlight. There are many types of trimming, so each pruning job can either been for future safety of your home or just a matter or what a client likes. ​Tree Removal - When removing a tree there are many thing you have to take in consideration. For instance, what type of tree is it or is it a hard wood or pine. These two types of trees require different removal techniques. Pines break easier then hardwood trees and grow a lot taller. As for oaks trees they branch out more and cover a larger area and produce usually way more limbs. Some of the same removal techniques are used for each tree but vary according to height or with of it. Here are some pictures of a pine tree and a hardwood tree. There are pecans, oaks, maples, elms, cedars, pines, cypresses, spruce, hack berry, birch, myrtle, cottonwood, red tips, sycamore, river birch, hickory, walnut, bay, ash, china berry, holly, and mall berry trees. These are just some of the trees we specialize in for removals and trimmings.